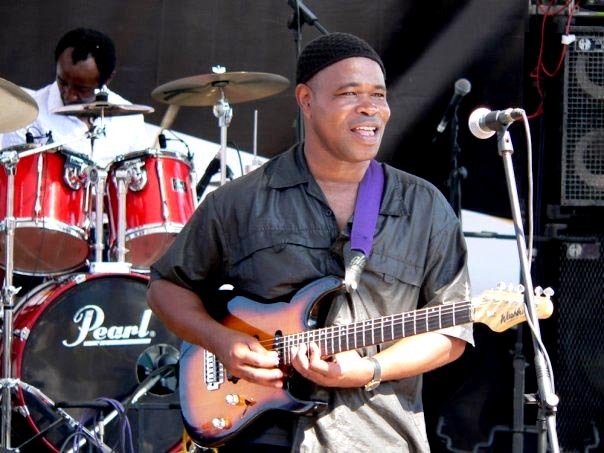 Angolan singer song writer and musician Adamu da Silva is a musical nomad, a mistral who has called Congo, DR Congo Gabon, Cameroon and Namibia and South Africa home. Along the way he’s shared stages with African giants Manu Dibango, Salif Keita, Ismael Lo, and has supported Crosby, Stills and Nash, and Tracy Chapmen on tour. His trio captures this wandering spirit fusing Afro-Latin with high-energy Semba, kwasa kwasa, afro-beat, jazz and more into a pan-global sound. Category: Pass Blog, Pass Radio | Tags: Adamu da Silva | Bookmark: permalink.